The Wine Fairy’s been pretty good to us here in Vine land. 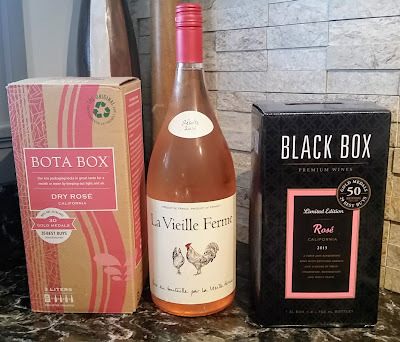 I received a message from Tara at Balzac offering me the opportunity to sample a couple of bottles from one of their newest clients, Frisson Wines. Frisson is the brainchild of Pam and Terry Davis, native Texans who made their way to Yountville in Napa County. With the help of winemaker Wayne Donaldson, formerly of Domaine Chandon and Moet-Hennessey, and an initial purchase of three tons of cabernet sauvignon grapes from the Napa Valley’s Diamond Mountain growing region, Frisson began making wine in 2009. Initially only available in Texas and in a few places in Napa, Frisson is set to expand its retail footprint. I was intrigued. I don’t often drink whites wine not named “Sauternes” that nudged up against the $50 price point, not to mention the delicious potential of the Cabernet. How was the experience? Frisson 2012 Russian River Valley “Dutton Ranch” Chardonnay – I had a conversation a few years ago with a good friend of mine who was in the process of studying for his sommelier exam (which he did eventually pass). We were talking about what sets certain wines apart. “Balance” was the term that we bandied about for awhile, but I’m learning that wines can be very well balanced, but not particularly interesting at the end of the day. “Integration” is a term I’m coming to use more and more, and that’s what’s remarkable about this wine. It’s one of the best integrated chardonnays that I’ve tried. The various complexities of the wine are all on display, and they all mesh to create a very pleasant drinking experience. The Sweet Partner in Crime really enjoyed that a wine that displayed rich flavors of pineapple and pear could have a nice mineral backbone. There’s an oak characteristic, but it’s certainly not overdone, and it bolsters the finish nicely. The finish is a little oaky, a little buttery, and almost a tad honey-sweet. If I’d decided to drop two and a half fins on a Chardonnay and wound up with this, I’d be pretty happy. Frisson 2010 Napa Valley Cabernet Sauvignon – After the “frisson” of the Chardonnay, I had high hopes for the Cabernet Sauvignon. At the end of another particularly long week, I wanted to grill up a couple of filets and relax with the SPinC over a good meal and a great wine. And we just happened to have this bottle. Convenient! Opened it up and decanted it for about an hour before we started dinner, and we had an initial glass. OK. Let’s not mince words. This is a very good cabernet. It’s very tasty, and, again super well integrated. If you want to know what classic “blackcurrant” aromas are, this wine will show you. The flavor is full of blackberries, cherry, and cocoa. 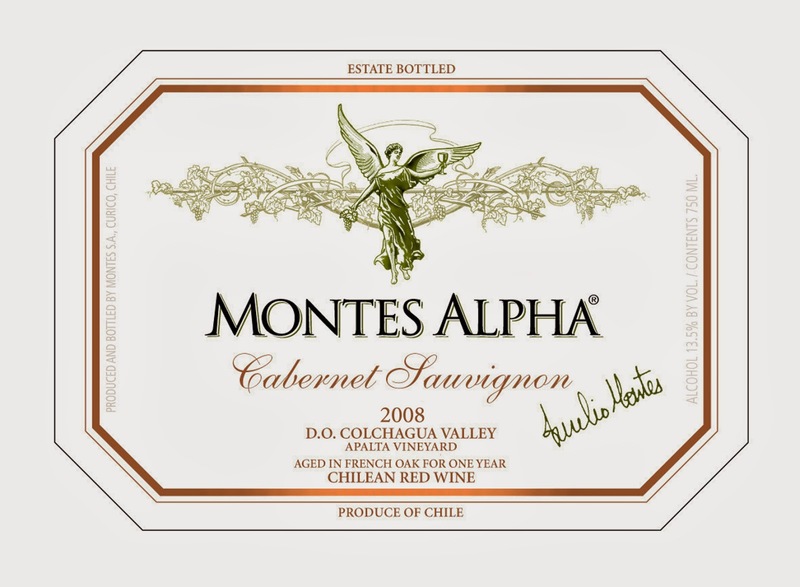 The tannins are firm without being too much, and the finish goes on for a long time. With both our steak dinner and with our evening chocolate, it was pretty decadent. All in all, it’s a really good wine. But is it $65 good? Honestly, I’m not inclined to think so. I’ve had a couple of cabernets over the last few months that were half the price and seemed just as tasty. Now, this may be a wine that will really blossom over the next couple of years and live up to its price point. Perhaps my palate just didn’t quite tag what made the wine so different – that’s also possible. I’d have guessed $35-40 for the retail if I’d not seen beforehand. Go to any winery and you’ll find oak barrels everywhere being used for fermenting wine, for storage, or just for decoration. But why? Obviously there’s some reason that, for years, wine and barrels are united in the wine drinker’s consciousness? Why do winemakers use barrels? While they look neat, it seems like they’re not particularly airtight, and there are many other ways to store liquid. For an answer, let’s set the Wayback Machine for the early days of winemaking – 4000 years ago, give or take several centuries. Early winemakers figured out how to ferment grape juice into something delicious – but once you’ve got wine made, you’ve got to be able to store it and, just as importantly, move it around. The storage containers available were fired clay pots. The Greeks called them amphorae. They worked well – so long as you didn’t drop them, or have them fall over, or have a stray mule kick a hole in one out of spite. Around 800 BC, during the Iron Age, fully enclosed wooden barrels were developed. By the first century AD, they were commonly used for containers for liquids of all sorts. They were stronger than clay, obviously, they didn’t usually break into a million pieces at the drop of a hat, and they could be stacked, rolled, and moved much more easily. They became the medium of choice. Somewhere along the line, winemakers began to notice that the flavors in many wines change, improve, and become more complex during time in barrel. There are two reasons for this. First, especially where red wines are concerned, small amounts of oxygen get to the wine while stored in a barrel. This gradual oxidation tones down the sharpness of the tannin in the juice, makes the wine a deeper color, and preserves the wine for a longer period of time. Second, as the wine seeps into the grain of the wood, it picks up chemical compounds that imparts certain flavors and aromas -- usually vanilla, tobacco, spice, and a “toasty” flavor. The wine also picks up tannins from the wood itself, which are a different sort of tannin than what’s in the juice in the case of red wines, adding additional complexity. White wines pick up less of the flavor than do reds, since the barrels are usually used for fermentation rather than storage. They still do change in barrel, however. As time passed, winemakers found that different types of oak affect the wines in different ways. There are three common types of oak – American, French, and East European (usually Hungarian). The differences in the effects of the oak basically come down to the wood grain. American oak has a wider grain than French oak, so the wine penetrates the wood more deeply. American oak imparts a stronger, smokier flavor than does French oak, with stronger vanilla flavors. French oak tends to bring a spicier flavor. Hungarian oak is similar to French oak, although there’s a sweeter characteristic that gets imparted from those barrels. If you’re reading winemaker notes, you might see references to a wine being “done in new oak.” Barrels are expensive, so they’re commonly reused. New oak barrels impart more flavor to wines than do used barrels. Since barrels are so expensive ($300 for a typical 55 gallon American oak barrel and $750 for a French), some winemakers cut corners by fermenting or storing wines with oak chips or old oak staves. The results of that cost cutting measure tend to be inferior. The flavor of oak, like any other flavor in wine, can be overdone. I basically gave up on most California chardonnay for a long time because the wines in the late 90’s and early aughts were made so oaky. I remember Meridian chardonnay for years tasted to me like chewing on a charcoal briquette, but lots of people obviously call for that sort of flavor. Thankfully, in my opinion, cooler heads have prevailed on the oaking of wines – and there’s a great deal more balance to be had out there with both reds and whites. Also, as a reaction to the heavy oak, some enterprising winemakers began marketing “unoaked” wines. This means that they’re fermented and stored entirely in a different type of container – be it stainless steel, concrete, plastic, or what have you. Removing the oak, as you would imagine, creates a very different wine, even with similar starting juice. Many unoaked wines are excellent. They do require a certain amount of skill to balance the flavors. Doesn’t get much more similar than that, I guess! Both of these are $10-14 bottles. To go as a pairing alongside these wines, we went with slow cooked salmon filets with chickpeas and mustard greens. The difference in these wines was pretty striking. We started with the unoaked one. Rather than being fermented in barrels, this wine was done in stainless steel. Typically, I find most unoaked wines to be fairly crisp and light. This Estancia was not light at all. In fact, it had a pretty considerable weight – I’d go so far as to call it a little “fat.” The main flavors I pulled from this were pear and lemon, if you smeared both of them in butter. The finish was full of cream and almost cloying. I honestly didn’t care very much for it. As it got some air, the buttery characteristics toned down a bit – but just the same, I thought the flavors weren’t all that interesting. With the food, it was just OK. The reason for oak became pretty clear when we tried the oaked version. According to the winemaking notes, half of the juice for this wine is fermented in oak, with half of the oaked wine being in new barrels. Not surprisingly, this imparted a very strong vanilla and toasted wood flavor to the wine, which was a shock to the palate after tasting the first one. As it got air and the smoke “blew off” a bit, the wine improved greatly. I toss the word “structure” around a lot when I’m writing reviews – and that’s what the oak added in this case. The flavor profile of the wines is basically the same…except that the vanilla and toast of the oaked version balances the wines’ flavors and makes it, ultimately, a more pleasant wine to drink. Only through tasting and trial will you decide how much oak is best for your palate. Once you find a wine you like that has that toasty flavor, however, make sure you look at the winemaker notes. That way, you’ll be able to find other wines made in a similar style. I think that’s a good way to be a smart wine consumer.